Yes, even if you're trying to lose weight. When trying to lose (or gain) weight, it's tempting to want to check in on a regular basis to see how you're going. 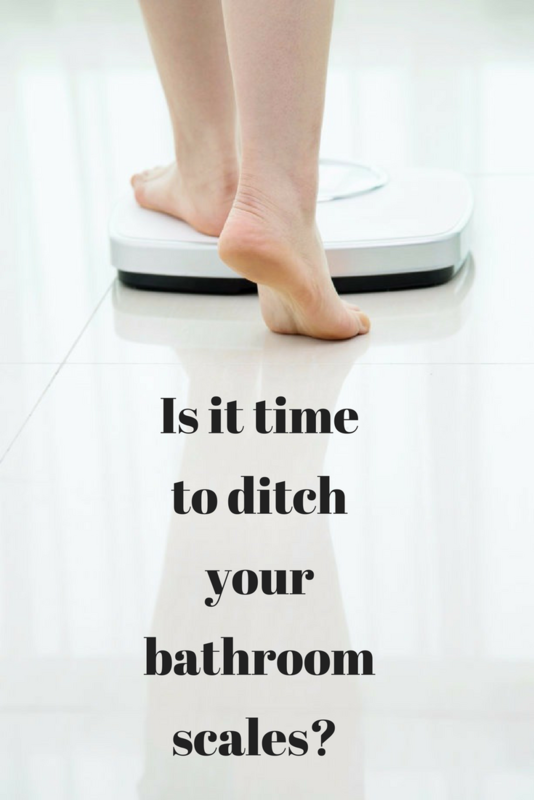 This is why so many people own a set of bathroom scales -- how better to monitor your progress than by a daily weigh-in? Except there is another school of thought that says weighing yourself regularly isn't actually healthy, it's borderline obsessive. After all, how many times have you hopped on the scales after a stretch of being really 'good' only to have been disappointed by the number staring back at you? Or to have 'put on' a minuscule amount overnight and have your day ruined by a measly 100 grams? If you're nodding your head in agreement, it could be time to ditch your scales altogether. "My personal opinion is scales shouldn't be kept in the house because it can lead to an obsession of weighing," nutritionist Fiona Tuck told HuffPost Australia. "Our weight naturally fluctuates depending on the time of day, what we have eaten or drunk, hormones and so on. However, not taking these things into consideration can lead to a never ending cycle of dieting and obsession with weight." For those looking to maintain their weight, Tuck recommends using your clothes as a barometer. "My advice is listen to your body and go by your clothes," she said. "If your jeans or waist band are feeling a little tighter then you know you have put weight on and need to take action. If we are exercising and building muscle whilst losing fat there may be not dramatic drop in the scales. In fact, sometimes there can even be an increase as muscle weighs more than fat. "Be wary of wearing stretchy clothes though as the clothes stretch with you so tight jeans and well fitted clothes are always the best indicator." For those looking to lose weight, Tuck advised semi-regular weigh-ins, with once per week being ideal. If you don't think you'd be able to resist weighing yourself more often than that, it may be better to weigh yourself at a gym or friend's house instead. "If you are looking at weight loss, a weekly weigh in can be beneficial to keep you on track, however this can backfire if the scales have not budged as this can trigger a spiral of negative emotions and negative eating patterns," she said. "One kilo a week is a good aim." Those who should definitely leave their scales on the nature strip are those with obsessive personalities or people with a history of eating disorders. "I have seen people's days be ruined because they weighed half a kilo more in the morning than they did the day before," Tuck said. "For obsessive compulsive, control type personalities it can become an obsession which can sometimes lead on to more serious eating disorders. "People with OCD-type behaviour, anxiety and eating disorders may be better to avoid regular weigh-ins altogether." However, it should be noted that just because you don't have scales any more, it's not an excuse to put your local pizza place on speed dial. "Not weighing yourself can be an excuse for some to eat whatever they like and allow the kilos to creep on. It all comes down to self-discipline," Tuck said. "Eat well, exercise daily and if this makes you feel good and you fit into your clothes then you are doing well. "At the end of the day it comes down to personal preference, there is no right or wrong. Weigh ins work for some and not so well for others. The most important thing is how you take care of your body, what you put into it and how you feel on a daily basis. Personally I threw my scales away years ago and have never been happier."